Sensor Tower's App Overlap module allows you to view specific apps whose users are more likely to use your app and which apps your users are more likely to use in conjunction with your app. The two sections within App Overlap include Other Apps and My App, each section pulls in the Top 100 apps with the highest chance of usage in relation to your selected app. 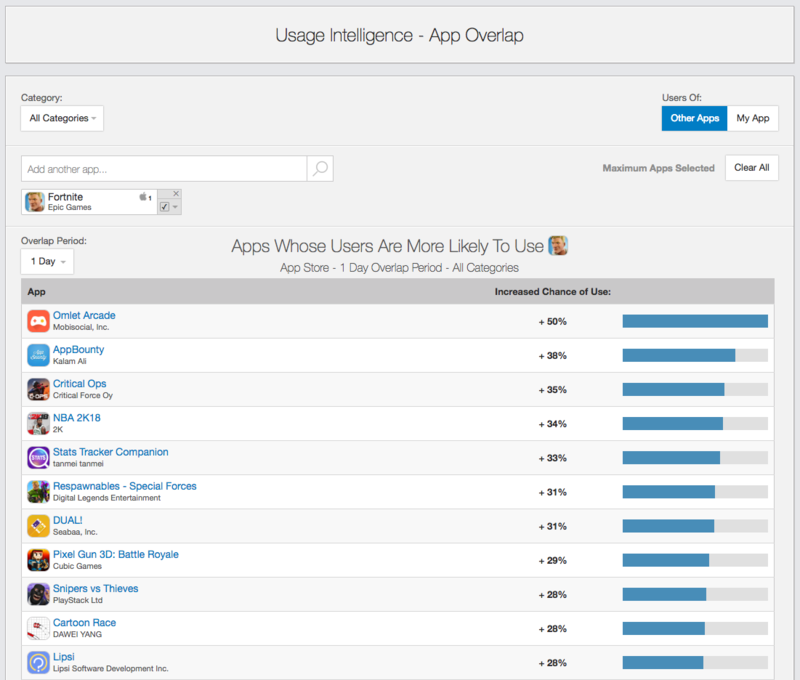 This tool allows you to analyze where your app's user-base spends their time and which apps your targeted users are currently using. Utilizing this data, you can create a number of targeted advertising campaigns, examine your competitors' user-bases, and dissect where users are spending their time in the mobile ecosystem.